Rafael Nadal discusses his opening-round win against Leonardo Mayer on Wednesday at the Barcelona Open Banc Sabadell. Watch live tennis streams at http://www.tennistv.com. Watch as Attila Balazs comes up with a great dig against John Millman at the Hungarian Open. Photo: Peter ZÃ¡dor/Hungarian Tennis Association. Watch live tennis streams at http://www.tennistv.com. Watch as 17-year-old Jannik Sinner records a milestone moment by defeating Mate Valkusz at the Hungarian Open. Photo: Peter Bor/Hungarian Tennis Association. Watch live tennis streams at http://www.tennistv.com. Watch as Leonardo Mayer ends the first set against Rafael Nadal with an exclamation point at the Barcelona Open Banc Sabadell. Photo: David Ramos/Getty Images. Watch live tennis streams at http://www.tennistv.com. Watch as Kei Nishikori and Rafael Nadal visit the Palau de la MÃºsica in Barcelona. Photo: Barcelona Open Banc Sabadell. Watch this hot shot as Felix Auger-Aliassime finds an exquisite angle against Malek Jaziri on Wednesday at the Barcelona Open Banc Sabadell. Watch live tennis streams at http://www.tennistv.com. Photo: Barcelona Open Banc Sabadell. Watch highlights as Rafael Nadal, Felix Auger-Aliassime and David Ferrer advance on Wednesday at the Barcelona Open Banc Sabadell. Watch live tennis streams at http://www.tennistv.com. Photo: David Ramos/Getty Images. Watch Cristian Garin find the angle during a hot streak against Denis Shapovalov at the Barcelona Open Banc Sabadell. Photo: Jared Wickerham/US Clay. Watch live tennis streams at http://www.tennistv.com. Watch as Denis Shapovalov makes a statement with this backhand winner against Cristian Garin at the Barcelona Open Banc Sabadell: Photo: Clive Brunskill/Getty Images. Watch live tennis streams at http://www.tennistv.com. Watch as Grigor Dimitrov pulls off a difficult passing shot winner against Fernando Verdasco at the Barcelona Open Banc Sabadell. Photo: Clive Brunskill/Getty Images. Watch live tennis streams at http://www.tennistv.com. ATP Uncovered presented by Peugeot delves into the mind-boggling numbers Rafael Nadal has produced on clay. Watch as Matthias Bachinger comes up with an outstanding passing shot against Pierre-Hugues Herbert at the Hungarian Open. Photo: Peter Bor/Hungarian Tennis Association. Watch live tennis streams at http://www.tennistv.com. Watch Stefanos Tsitsipas show a wide array of skills to win a point against Marton Fucsovics at the Barcelona Open Banc Sabadell. Watch live tennis streams at http://www.tennistv.com. Watch Diego Schwartzman crush a forehand winner down the line against Dominic Thiem at the Barcelona Open Banc Sabadell. Photo Credit: Barcelona Open Banc Sabadell. Watch live tennis streams at http://www.tennistv.com. Watch two of Dominic Thiem's backhand down the line winners during his victory at the Barcelona Open Banc Sabadell. Photo Credit: Clive Brunskill/Getty Images. Watch live tennis streams at http://www.tennistv.com. 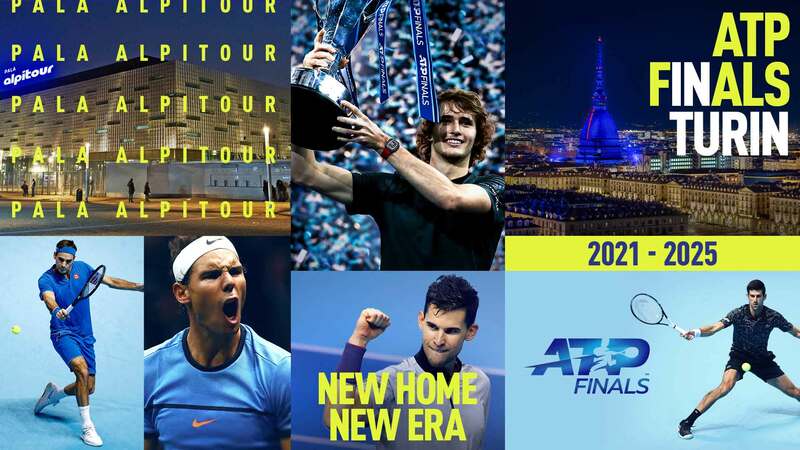 Turin will host the ATP Finals from 2021-2025 at the Pala Alpitour stadium, Italy's largest indoor sporting arena. Watch highlights from Tuesday at the Barcelona Open Banc Sabadell when Nicolas Jarry upset Alexander Zverev and Dominic Thiem rolled past Diego Schwartzman. Watch live tennis streams at http://www.tennistv.com. Photo: David Ramos/Getty Images. Chilean Nicolas Jarry reacts to his upset win against Alexander Zverev at the Barcelona Open Banc Sabadell. Watch live tennis streams at http://www.tennistv.com.